When you are selling your home, you know that a showing can take place at any time. Your realtor may contact you to say that a potential home buyer wants to take a look at your home right away and you must be prepared. If you have children or a busy lifestyle, you may find that your home is not ready for the showing. So what do you do? Learning a few quick cleaning tips will go a long way to keeping your home nice and tidy for the next showing, no matter when it takes place. A quick cleaning tip is one that is a little unconventional. When you have children, it can be easy to find toys in every corner of the home. If your realtor calls with a showing in the next thirty minutes, you do not have time to put everything in its place. Invest in a few decorative baskets and keep them in certain rooms of the home. Quickly run through each room and put toys in the decorative baskets. Purchase baskets with lids so they look decorative and potential home buyers will have no idea that they actually are hiding a mountain of toys! Scented wipes are a great way to give your home a quick pick-me-up. Purchase a scented cleaning wipe container that you can use to quickly wipe down countertops in the kitchen or furniture surfaces in other rooms. The smell will linger and help give the illusion that the home has been deep cleaned! Keep wipes handy so you can easily clean when needed. Every night before you go to bed, take ten minutes to do a quick run through the home. Get everyone involved and you will find that you can easily keep your home picked up and looking its best. Taking just a small amount of time before you go to bed to clean up can mean the difference between a sale or uninterested buyer during a showing the morning after. 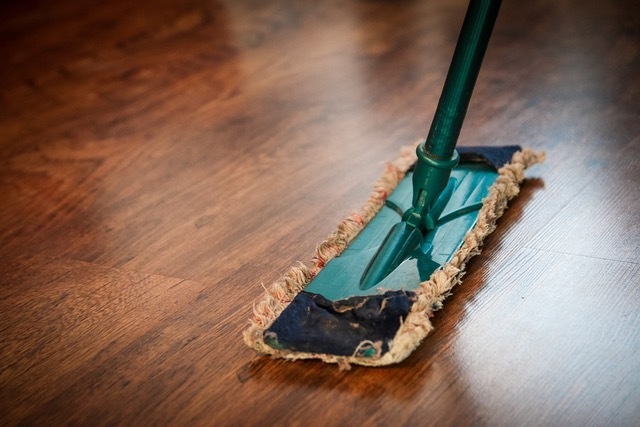 Because your home is up for sale, you will have to make new routines to keep it clean. After meals, be sure to go ahead and rinse off dishes. This may seem like an annoying chore but it will help from seeing the dishes piling up. Have everyone pick up laundry after taking off clothing or having a shower to keep messes to a minimum. The goal is to think of your family and home and what your problem areas are. For most home owners, the kitchen, living room, and bathrooms are the problem spots. Come up with simple solutions as to what you can do to keep these areas of the home neat and tidy. You want any potential home buyer to see your home when they wish and for it to be ready for viewing. Talk to your realtor about other ways you can spruce up the home to be sure to attract buyers and hopefully see a quick sale!